Despite all of the hype behind fasted cardio and exercising, working out on an empty stomach generally isn’t a good idea. Fasted exercise could even result in complications. Eating before a workout means you’ll have fuel to push yourself harder, especially during high-intensity exercises. Starving could cause the body to compensate by slowing down metabolism. Eating before exercise increases the amount of calories burnt after exercising. Fasted exercising puts stress on the body, which causes the release of cortisol. That in turn causes your body to break down muscle instead of fat for fuel. The right pre workout foods will increase muscle synthesis so you get better gains from your training. Some people are still going to swear by exercising on an empty stomach. There’s no arguing with these people. Our bodies are highly individual and there is no one “best” way to eat (or not eat) before exercise. However, if you want muscle gains or are one of the many people who simply feels too tired to manage an intense workout if you haven’t eaten beforehand, then you should absolutely eat before working out. What Makes a Good Pre Workout Food? Eating before a workout is a good idea – but only if you eat the right pre workout food. The wrong choice of pre workout food will cause you to feel bloated, heavy, and sluggish. When choosing a pre workout food, you mostly want to pay attention to the amount of the macronutrients carbohydrates, protein, and fat. Carbs provide the blood and muscles with glucose that can be used as energy. So, it is no surprise that research shows that eating carbohydrates before a workout prevents fatigue and improves endurance. Don’t worry – you’ll still break down fat even if your body is using carbs for fuel. The research into fasted exercise consistently shows that people who eat before working out burn the same amount as fat as those who don’t eat beforehand. There are two types of carbs. Simple carbs break down quickly and provide you with a quick boost of energy – but will also burn off quickly and likely cause you to crash in the midst of your workout. Complex carbs take longer to break down and will provide you with sustained energy for your workout. Approximately 70% of your pre-workout calories should come from carbs. 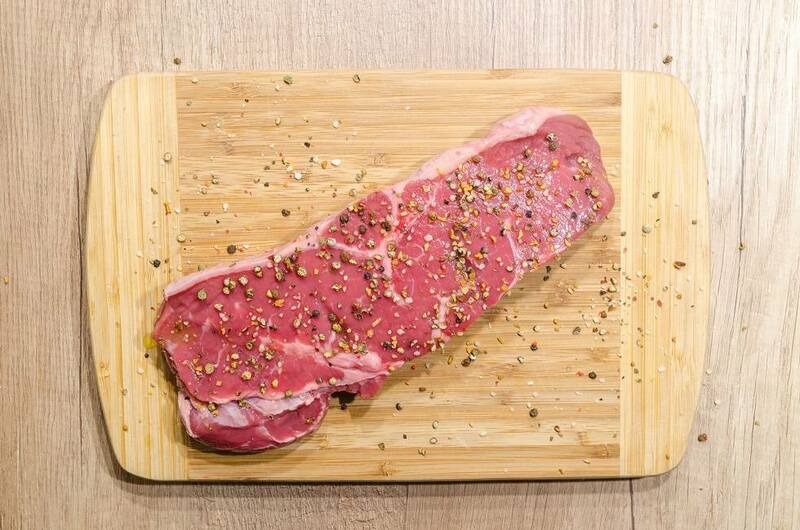 Eating protein before working out comes with the huge benefit of promoting muscle catabolism. Branched chain amino acids (BCAAs) are particularly good choices. Unlike other amino acids which have to be synthesized, BCAAs bypass the liver and go straight to the muscles. They’ll not only energize you, but help you get those tone muscles you want. Approximately 30% of your pre workout calories should come from protein. While fat is a good energy source, it also takes a long time to break down. AVOID eating fat as a pre workout food! It will leave you feeling sluggish during your workout. Ideally, you should eat a full meal rich in complex carbs and protein approximately 2 to 3 hours before your workout – especially if you are doing long-lasting, high-intensity workouts. However, for those who workout in the morning or with busy schedules, eating 2 hours before a workout isn’t always practical. In this case, choose a small snack that is faster digesting – such as apples instead of whole grain bread. Eat the snack at least 30 minutes before your workout. These top 10 pre workout foods provide your body with easy-to-digest fuel that will energize you for a workout. 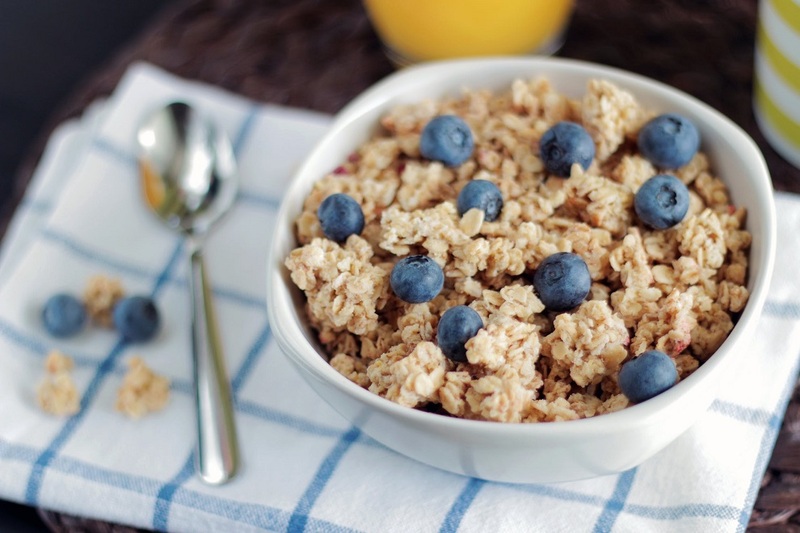 Rich in fiber and protein, oats are a great way to fuel your workout. They also have the benefit of being rich in many other nutrients like iron, magnesium, and B vitamins. Compared to other superfoods, oats are probably one of the cheapest healthiest foods you can eat. Seriously – you can buy tons of oats for under one dollar! For an added boost, eat your oats with nuts and fresh berries. If you have at least 2 hours before your workout and will be lifting weights, then a veggie omelet is the way to go. The veggies will give you carbs for fuel and the eggs are a great source of BCAAs to fuel your muscles. Just remember to go easy on the oil when making your omelet. Eggs are already full of fat, and you don’t want to end up feeling sluggish during your workout! This simple pre workout food can be made in minutes and provides you with the right balance of carbs and proteins. The potassium in bananas is particularly important for exercising. As an electrolyte, potassium helps regulate glycogen throughout the body. Have just 30 minutes before your workout? 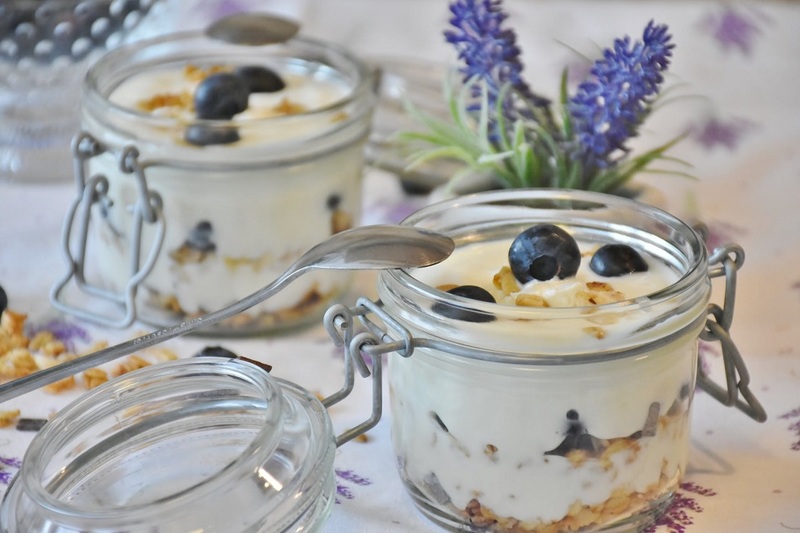 Greek yogurt is a great pre workout food because it has higher protein than regular yogurt. The straining process used to make Greek yogurt also removes some of the milk sugars and lactose, so it is easier to digest. Fruits and nuts give you an extra boost of nutrition for your pre workout snack. To really take things up a notch, mix some pre-workout supplement powder into the yogurt before eating it. Smoothies are one of the best pre workout foods because they are easy to digest. When you are crunched for time, a smoothie will deliver nutrients to your body quickly so you can be energized for exercise. You can make a pre-workout smoothie with endless combinations of ingredients. Consider banana as a base with some berries and protein powder added. Superfoods like inflammation-fighting turmeric and green powders make great additions. A cheap, effective alternative to power bars is to rub some nut butter on a banana and eat it before your workout. The potassium and carbs in the banana are great for energizing your cells. The nut butter provides protein you need for muscle synthesis. If you can afford it, opt for higher-quality nut butters such as almond butter or macadamia nut butter. These nuts have a big nutritional edge over peanut butter, offering more Vitamin E, magnesium, and calcium. Whatever you do, make sure the nut butter you choose doesn’t have added sugar. Sugar (and its analogues like high fructose corn syrup) are often hiding in popular brands of peanut butter. You probably aren’t going to make a stir-fry for breakfast, but this pre workout meal is great for people who exercise after lunch or dinner. 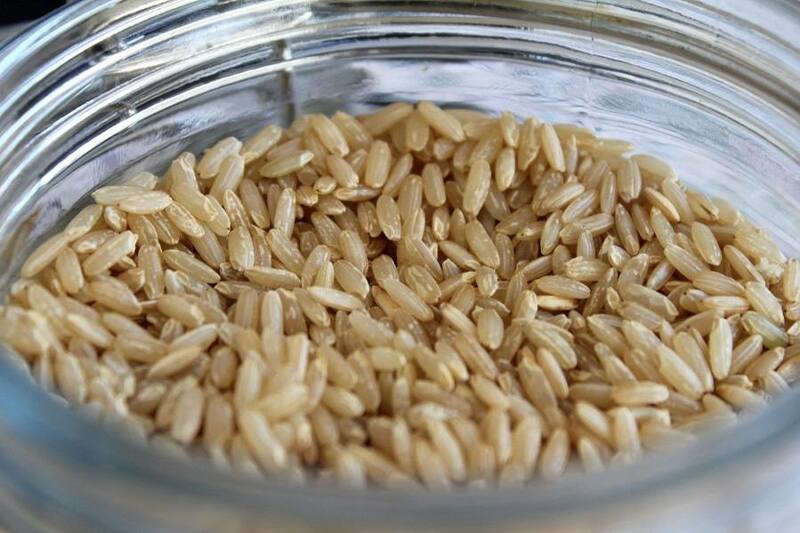 Brown rice is lower on the glycemic scale, meaning it digests slower and will provide you with long-lasting fuel. Compared to white rice, brown rice is also loaded with more protein, Omega 3, fiber, calcium, magnesium, and potassium. 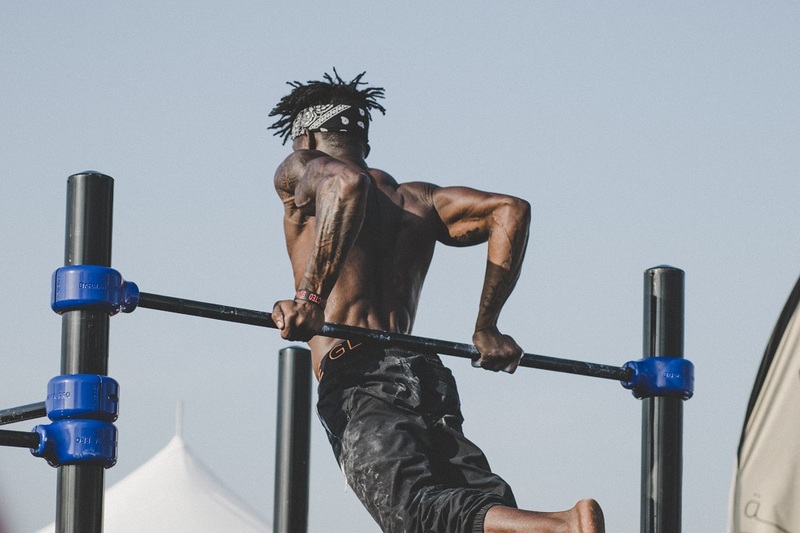 These nutrients aren’t something that we talk about in relation to exercise, but they are important for maintaining cell health so you can get the most out of your workout. The first energy bar to debut was the PowerBar. It was marketed towards endurance athletes and, frankly, tasted like cardboard. Luckily, energy bars have come a long way since the original PowerBar! Today, there are dozens of options for energy bars that you can take to fuel your workout. They usually contain a quick-digesting carb and some protein. Some also contain superfoods or workout supplements. A word of warning: be careful when choosing your pre workout energy bar! Some of them are loaded with refined sugar. The expert advice is to choose an energy bar which has 25-40 grams of carbs and approximately 100-200 calories. There should be minimal amounts of fat. About 90 minutes beforehand, a tuna sandwich makes a great pre workout snack. Use whole-grain bread and you’ve got a good source of slow-digesting carbs. The tuna provides you with protein as well as those healthy brain-boosting fats everyone loves to talk about. Just don’t make the mistake of making a tuna salad sandwich. Mayo is really fatty and takes a long time to digest. Also don’t use tuna packed in oil. You’ll end up feeling bloated and nauseous during your workout. 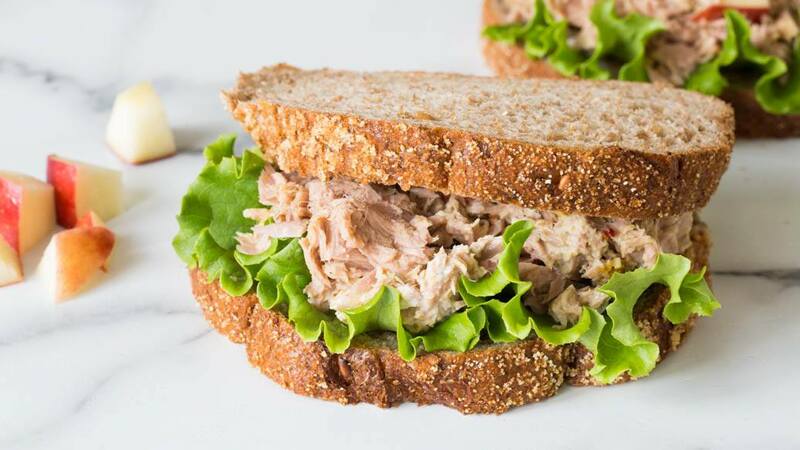 For an added bonus, put some veggies on your tuna sandwich. Cucumber slices and radishes add a nice crunch. These aren’t exactly a “food,” but pre workout supplements are a great way to get the nutrition you need for your workout. You simply mix the supplement powder into water, juice or a smoothie approximately 15-30 minutes before your workout. You’ll be rearing to go quickly! When choosing a pre workout, pay attention to your goal. If you want to build muscle, you’ll want a pre workout supplement with creatine and BCAAs. Women’s pre workout supplements tend to focus on ingredients which promote fat loss and cardio, such as green tea extract and B vitamins. A lot of serious lifters and athletes swear by pre workout supplements for the energy boost they get. So, if you feel yourself getting tired mid-workout and want to push yourself harder, you can try adding a pre workout supplement to your regime.